It always takes me a few days to unpack, so when I got back from my holiday and had an early morning meeting I went through the items I hadn’t taken with me to do my makeup. I picked up my Shu Uemura eyelash curler and fell in love with them again. 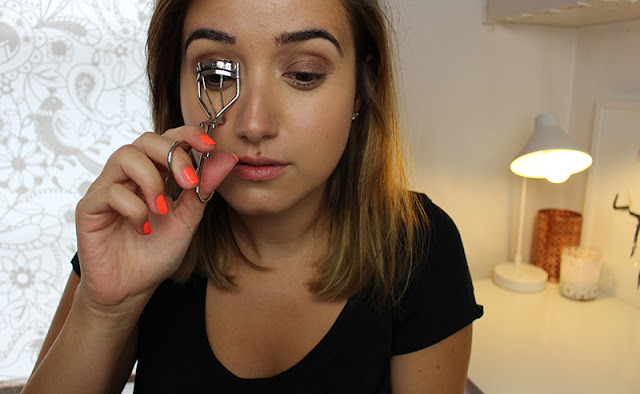 For the last few months I have been using the Tweezerman Eyelash curlers and they are good, I actually thought they were better than the Shu ones but my new encounter has proved that they are not. Lots of eyelash curlers fool me for a few weeks, even months but no eyelash curler (that i have tried at least) keeps on curling as well as the Shu Uemura ones for months and years on end. They are a great shape and even more importantly are made of excellent quality material meaning that even after prolonged use they don’t start to bend, leaving you bending the curler more than actually adding lift to your lashes. The curl they deliver is like no other, really defined and opens up the eye like no other product can. They may seem a little expensive to some but they are worth every penny and totally worth the hype too. I always end up going back to my Shu uemura eyelash curlers, although I do find that you need to change the pad regularly to keep gettin the lovely curls. where do you get the replacement pads please? I need to buy a replacement pad for my Shu curlers – they are brill! I love my Shu curlers, they are just insane!